Oxygen is the important industrial gas,widly used for the industry of steel, non-ferrous metal,chemical, Energy Saving Furnaces, environmental protection(sewage disposal, burn away the refuse etc), glass, paper making, medical treatment etc. Oxygen generation system with PSA/VPSA now becomes a new oxygen gerneration technology with its lower cost and extensive used. 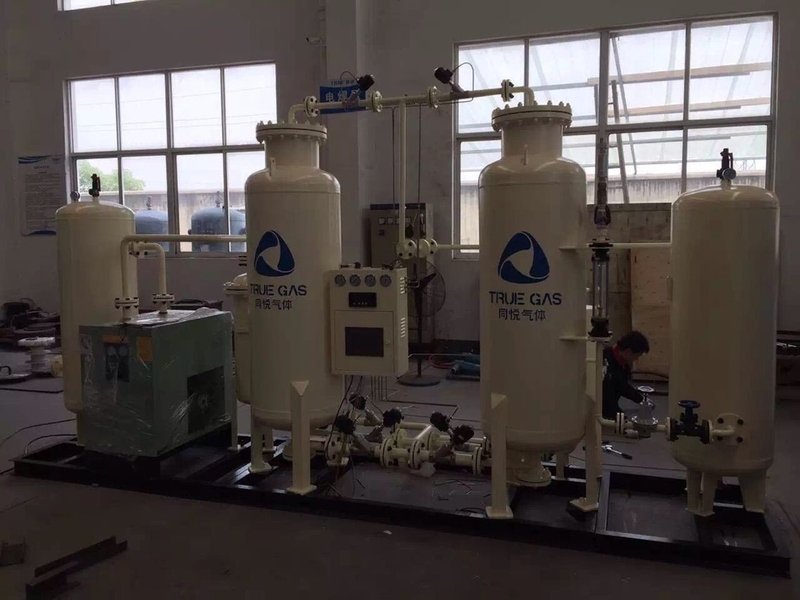 This equipment use the process of vacuum pressure swing adsorption(VPSA for short), adsorb the nitrogen from the air with molecular sieve, separate and collect oxygen, create oxygen enrichment of 90-95% ,meanwhile,it can output the analysis which contain the nitrogen and other impurity gas, this is usually excluded into the atmosphere. Oxygen Generation Technology uses special grade of ZMS ( Zeolite Molecular Sieve). grade of adsorbent which have the property of preferential adsorption of nitrogen molecules. China Good Quality PSA Nitrogen Generator Supplier. Copyright © 2016 - 2019 nitrogengeneratorequipment.com. All Rights Reserved.